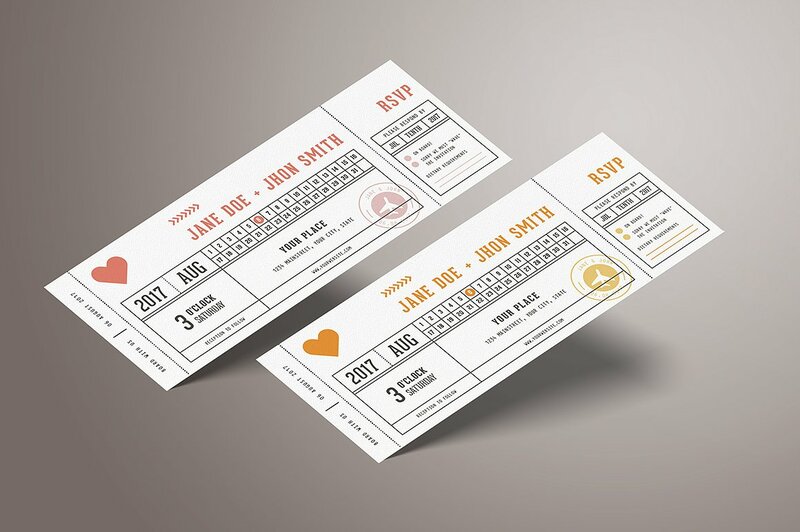 There are numerous designs you can choose when creating a ticket design for your special event. 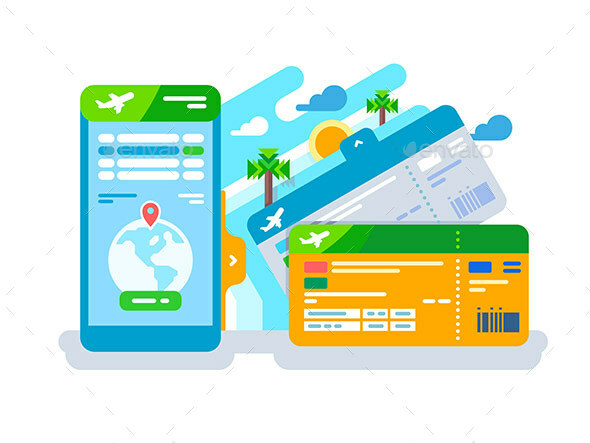 Don’t look far though as we are offering a unique yet visually appealing suggestion for your ticket design—plane boarding tickets. 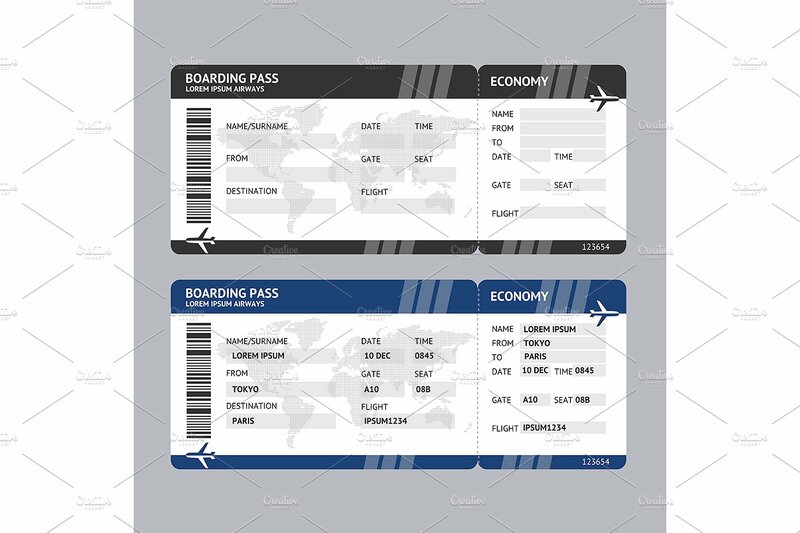 To help you create a plane boarding ticket, we have provided some examples that you can purchase and customize for your own plane boarding ticket design. 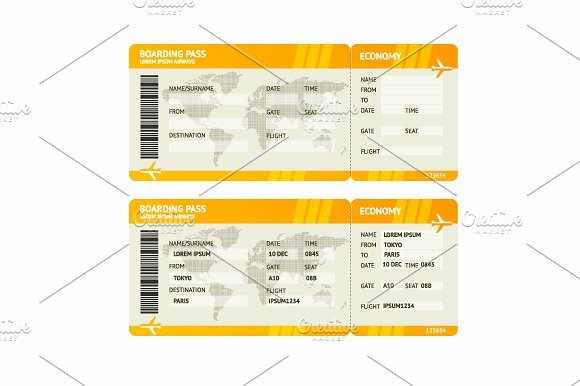 Listed below are some essential tips in designing a plane boarding ticket for your event. 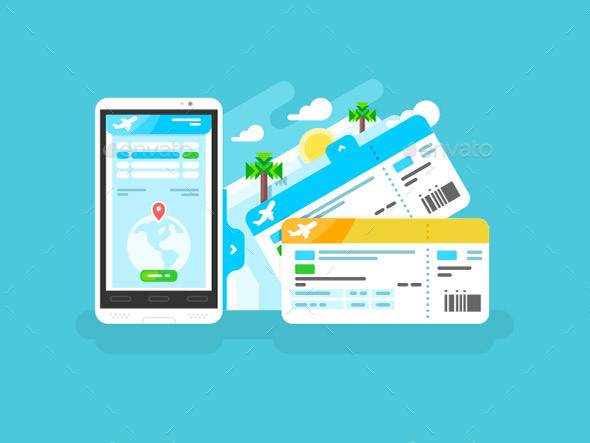 Since you are creating a plane boarding ticket, use travel-related designs or images such as an airplane, boat, bus, sun glasses, shoes, compass, earth (globe), or from the thousand tourist destinations around the world (of which some are listed in the subsequent section). 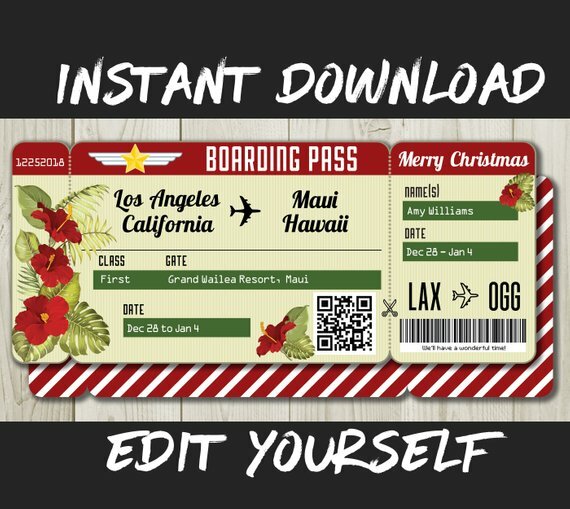 Using brighter colors makes the plane boarding ticket more vibrant, flashy, and dynamic. 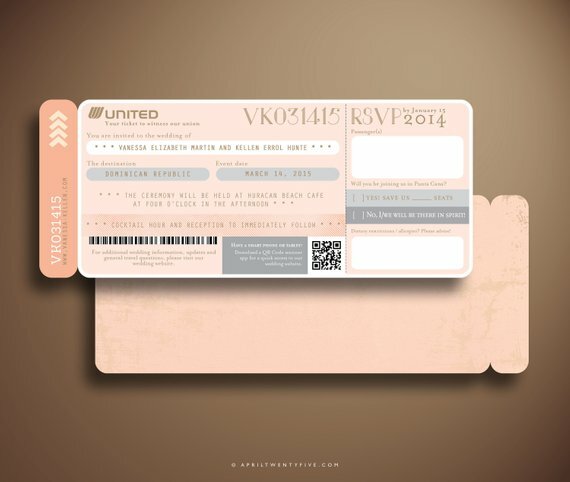 The ticket you will be creating is meant to signify an event (i.e. birthday party, wedding, graduation, family dinner, etc. ), so make sure to emphasize the event in the ticket design. Since you are emphasizing the event in the ticket design, make sure to add photos related to the event (i.e. event celebrant, event venue, etc.). Although there is still time for you to travel this year, why not save up and wait until next year. The longer you wait, the more time you save, thus the more you will enjoy the locations we listed below on the places to visit in 2019. Traveling is a great hobby for you to enjoy alone or with friends, as it creates opportunity for you to explore new cultures and experience new adventures. The United of States of America is not just known as the world’s biggest economy. 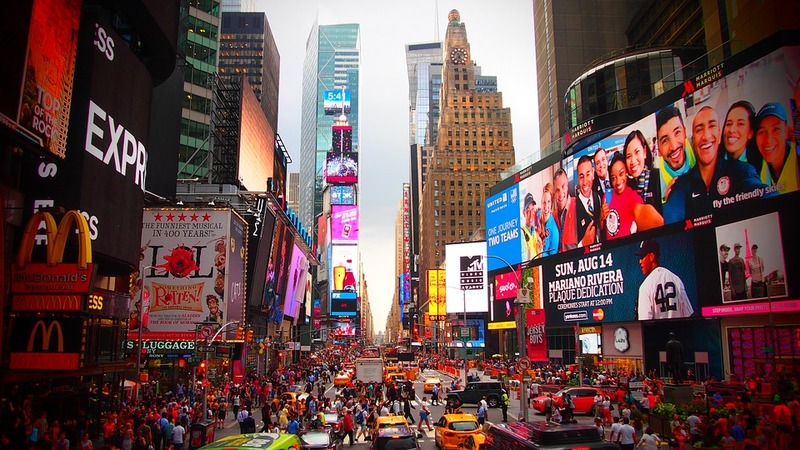 One of its most populous cities, New York City is the center of arts and culture in the world. New York has been featured in thousands of movies and is also the city where the greatest artists have performed and where up and coming musicians and actors begin their careers. People call USA as the “Land of Opportunity,” and New York has definitely contributed to that slogan. If you enjoy musicals or opera singers, watch a show or two at Broadway. If you enjoy watching skyscrapers with multicolored lights and giant ads (with a little bit of shopping on the side), visit Times Square. If you want to experience New York’s amazing history, tour the Empire State Building, Rockefeller Center, and the Statue of Liberty. Or if you want to relax and take a break from the city’s hustle and bustle, walk around Central Park. Visiting the land of the rising sun lets you experience a storied imperial past as well as take a glimpse of a robotic-centered future. But if you are on a culture trip, it is highly suggested that you skip Tokyo (Japan’s capital) entirely and visit Kyoto, the city of ten thousand shrines. Ten thousand shrines may be an exaggerated number (as the number is closer to a few hundred), but visiting Kyoto transports you a world where Japan’s history is greatly preserved. Walk through the torii gates of Fushimi-Inari Shrine, marvel at the Kinkakuji (Golden Pavillion), experience nature at its best at the Arashiyama Bamboo Forest, or spend the night with the Geishas at Gion District. Thailand is a country deeply linked to Buddhism. So it is no coincidence that Bangkok (Thailand’s capital) is home of the most amazing and breathtaking Buddhist temples in the world. 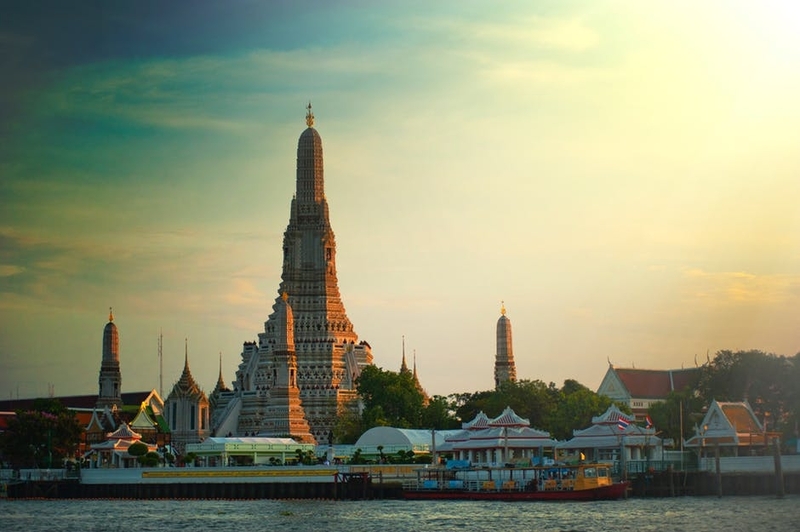 The Grand Palace (Wat Prakeaw), Wat Arun, and Wat Pho are temples in Bangkok you should definitely visit. Additionally, Bangkok is also home to the famous floating market and the Chao Phraya River. To be able to tour the Chao Phraya River as well as the river’s adjacent hotels and temples, tourists need to board the colorful river boats that roam the river 24/7. Bangkok embraces its oriental culture and rich Buddhist history, but if you miss the city life, Bangkok easily offers a metropolitan experience that is unlike no other. Splurge on shopping and dining at Siam Square and Sukhumvit. Spain’s second most populous city, Barcelona is home of some of the world’s famous tourist destinations. The La Sagrada Familia, Park Guell, Palau Guell, and Casa Mila are all listed as UNESCO World Heritage Sites. The La Sagrada Familia is considered not just in Barcelona but Spain’s most popular destination. The cathedral was designed by Spanish Architect Antoni Gaudi (who also designed Palau Guell and Park Guell) and the construction for the 300-foot structure began in 1892. Until today, the massive church is still under construction but structural work is expected to be completed by 2026. Park Guell and Palau Guell are also UNESCO heritage sites you should definitely visit. The designs of both tourist spots are centered from the Modernism period as visualized by Gaudi. Additionally, Barcelona’s tourist destinations do not only focus on architectural wonders. If you are football (soccer) fan, watch a game at Camp Nou, home of the world’s most decorated football team Futbol Club (FC) Barcelona, which also became home of some of the game’s most popular players such as Ronaldinho, Xavi, Andres Iniesta, Pep Guardiola, Carles Puyol, Johan Cruyff, and Ronald Koeman and is the current home of probably the greatest football player of all time Lionel Messi. Cebu is a combination of natural wonder and rich colonial history. Cebu is actually the oldest city in the Philippines after it was founded by Spanish explorer Ferdinand Magellan in 1521. You can definitely see the Spanish influence throughout the entire island, either in architectural structures as the Basilica Minore del Sto Nino and Fort San Pedro, or in Spanish-inspired dishes such as lechon (roasted suckling pig), chorizo (pork sausage), and beef pochero (beef stew with vegetables). Cebu is also home to the world’s best beaches—Moalbal, Malaspacua, Camotes, and Bantayan are just some of the beaches you should definitely check out. Did you know that Cebu was voted as the world’s second best island, only trailing behind Java (Indonesia) in a survey conducted by international travel magazine Travel + Leisure? Next up in the list is the host city of this year’s FIFA World Cup—Moscow, Russia. 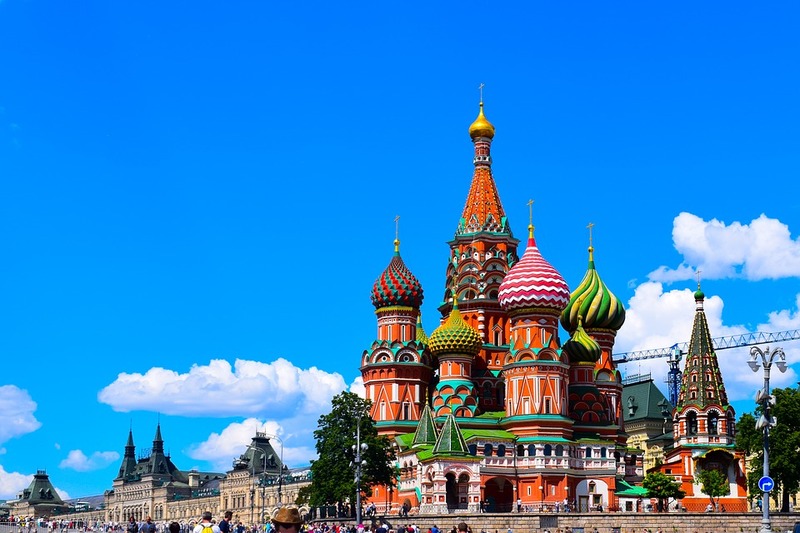 Before you do anything in Russia’s capital, visit the St. Basil’s Cathedral. The cathedral’s onion-shaped rainbow domes are like no other in the world, and the beautiful structure has become one of the most popular symbols of the country. Don’t forget to take a trip at the Kremlin as well, home of Russia’s national government. The Kremlin is not just a government structure though, as it is also a fortified complex that houses five palaces, four cathedrals, and the Red Square. Some say it will take one whole week for tourists to tour the entire Kremlin. Other sites in Moscow you should take a look at include the State Historical Museum, Arbat Street, Gorky Park, and the Cathedral of Christ the Saviour. Auckland may not be the New Zealand’s capital, but it is the most populous city in the country which has a population five times larger (1.6 million) than its capital Wellington (200 million). But population really does not matter as Auckland is more beautiful and more breathtaking compared to its neighbor (although Wellington is still a very beautiful city in its own right). Despite Auckland having its own metropolis, its best tourist destinations are more nature-inclined. Rangitoto Island, Cornwall Park, Mount Eden, Waitakere Ranges National Park, Waitomo Glowwoem Caves, and Waiheke Island are all accessible from Auckland’s city center, although a bit of travel is required for you to reach these destinations. Animal lovers can also take a trip at the world famous Auckland Zoo and Tiritiri Matangi Open Sanctuary. Additionally, a trip to the kiwis is never complete without visiting the Hobbiton Movie Set where some scenes from The Lord of the Rings and The Hobbit trilogies were filmed. They say Rio de Janeiro is the party capital of the world. Well, they forgot that Brazil’s second most populous city knows have to have fun as well. Once the sun goes down in Sao Paulo, the city lights up and party never ends. In Sao Paulo, there is a place for everyone, from the traditional botecos to the famous nightclubs such as D.EDGE and Love Story. Sao Paulo is also known for independent groups (i.e. Vampire Haus, Mamba Negra, and Carlos Capslock) holding secret parties in various locations around the city. Outside the wild parties and unforgettable drinking sessions, Sao Paulo also has something for the wholesome and family-first traveler. The art scene in Sao Paulo is magnificent to say the least, with numerous street art murals painted around the city and in popular tourist spots such as the Museu de Art (Museum of Art), Teatro Municipal (City Municipal), and Parque do Ibirapuera (Ibirapuera Park). Also, if you are a die-hard football fan, you will notice that football fans in Sao Paulo take their football very seriously compared to their Rio de Janeiro cousins. Don’t take our word and watch the football games of the city’s most popular teams yourself—Corinthians (Arena Corinthians), Palmeiras (Allianz Parque), Sao Paulo (Morumbi Stadium), and Santos (Vila Belmiro). Paris is not called the city of love and romance for nothing. You don’t only fall in love with the city’s architectural masterpieces but with the food, and people as well. Paris is always the answer for anything that is related to love and romance. Looking for a place (or country) to propose? Paris. Looking for a restaurant or food place to have a dinner for two? Paris. Looking for a sophisticated and classy lover (or future partner)? Paris. Looking for a place to stroll the dim lit streets while enjoying the beautiful moonlight? Definitely Paris. 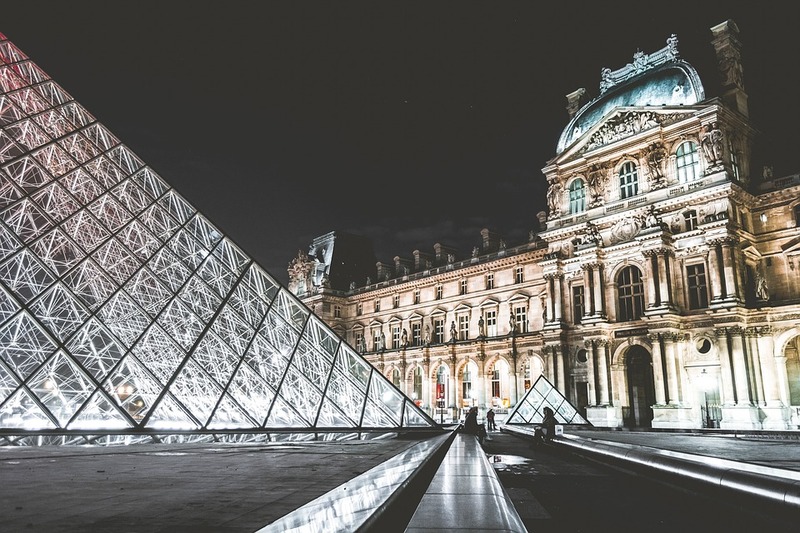 As previously mentioned, Paris is home to the most beautiful architectural structures in the world—Eiffel Tower, Notre-Dame de Paris, The Louvre, Champs Elysées (Arc of Triumph), Basilica of the Sacred Heart, and the Château de Versailles. The Parisian experience is not complete if you haven’t tasted French cuisine which is cooked and enjoyed all over the world. Indulge in soupe à l’oignon, coq au vin, cassoulet, beef bourguigno, chocolate soufflé, and ratatouille while watching at the Eiffel Tower or the Louvre at a distance. 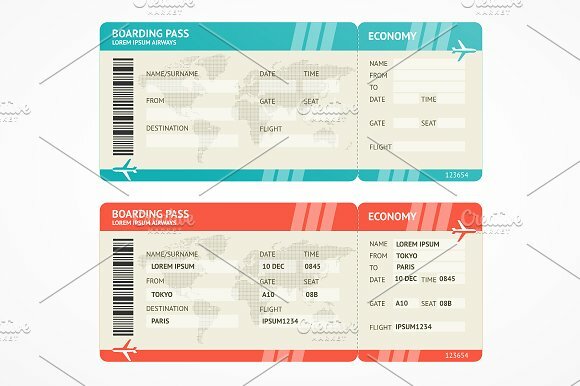 We hope you enjoyed reading this article as well as purchase the plane boarding ticket designs we provided.